Deputy Minister of Agriculture and Rural Development Ha Cong Tuan said the Trans-Pacific Partnership Agreement (TPP) creates opportunities but also poses challenges. 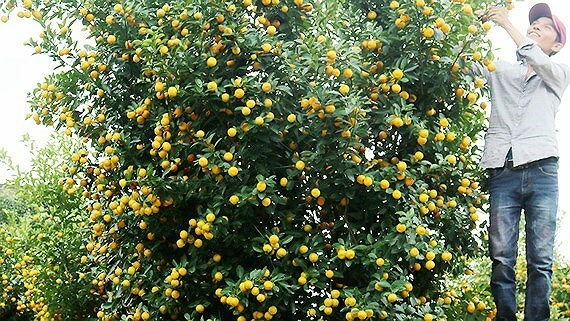 It will act as a reagent for Vietnam’s agricultural restructuring. Tuan said that the TPP, once effective, will help Vietnam expand consumption markets for its farm produce and ease its dependence on traditional but fluctuating ones like China. China, for example, is currently consuming 35 percent of rice, 48 percent of rubber, 64 percent of fruits and vegetables, and over 13.2 percent of timber exported by Vietnam. Meanwhile, Vietnam imported 62.5 percent of materials from China to service the country’s farming sector, according to the deputy minister. But as one of Vietnam’s largest trade partners, China had policies that required Vietnam to be flexible in import-export activities, the official said. The TPP will enable Vietnam to adjust its import-export market structure in agriculture, Tuan said. Aquaculture and wood products will gain a lot of competitive advantages as taxes imposed on all agricultural products will be eliminated shortly after the accord is put in place, he stressed. Vietnam’s wood exports to the US and Japan – two other TPP member countries – presently account for 39 percent and 19 percent of its total export value, respectively. The country will also see huge advantages compared with India and Thailand when shipping aquaculture products to the two major markets, the deputy minister said. He added that with tax incentives stipulated in the pact, Vietnam is expected to welcome a significant flow of investments into the farming sector, thus speeding up the country’s agricultural restructuring. However, the agricultural sector is forecast to face a spectrum of challenges, especially in product consumption, as it is mainly driven by household-based businesses with out-of-date technologies, Tuan said. The official suggested the sector revamp its apparatus, calling for joint efforts of managers, farmers and businesses. Will livestock quality be better? Vietnam will have chances to buy modern livestock rearing methods and good quality breeds from other TPP members, helping advance the country’s livestock sector, said Nguyen Xuan Duong, deputy head of the Department of Animal Husbandry. However, some experts worry that the TPP will "strangle" Vietnam’s chicken and beef because the industry is facing many difficulties and is also sensitive to the fluctuations of the market. Nguyen Kim Doan, vice president of the Dong Nai Livestock Association, said that in the province, the current rate of animal husbandry is 75% pig, 15% of chicken and 10% of cow. Although accounting for a smaller part, cow and chicken breeding will face more difficulty when Vietnam joins the TPP, particularly in chickens. Doan said besides Europe and America, it is very tough for Vietnamese chicken to compete with regional countries like Indonesia, Singapore and Thailand if the meat import taxes are slashed. "Chicken breeding does not require much water, so even Singapore has a lot of chicken farms with millions of heads. Thanks to the application of industrial scale of breeding, their production cost is 10-20% less than Vietnam. This is the advantage for Singapore and other countries to export chicken to Vietnam," he noted. Nguyen Van Ngoc, Vice President of the Southeastern Livestock Association, said that chicken was more vulnerable than others because domestic chicken farming is very sensitive to external impacts. In Dong Nai, most chicken breeders raise chickens for livestock firms. When these firms have losses, chicken breeders will be affected, Ngoc said. 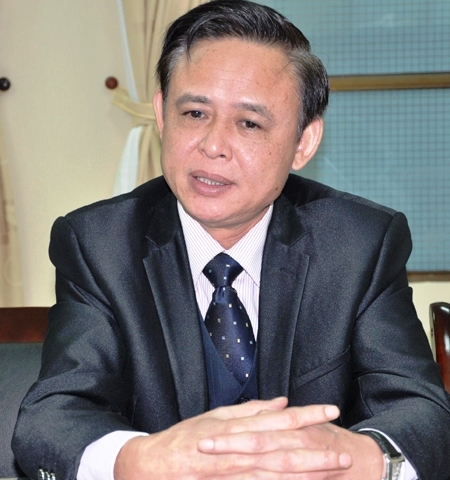 Dr. Nguyen Van Giap, Deputy Director of the Southern Center for Agricultural and Rural Policy and Strategy, said to compete with imported chicken, Vietnamese farmers should develop domestic chicken breeds like Yen The or Dong Tao, besides capacity building and participation in the production chain to help reduce product costs. For cows, Giap said Vietnam does not have large pastures and large cow herds so an invasion of foreign beef is possible Recently, despite high import taxes, Australian beef has entered Vietnam in large numbers. 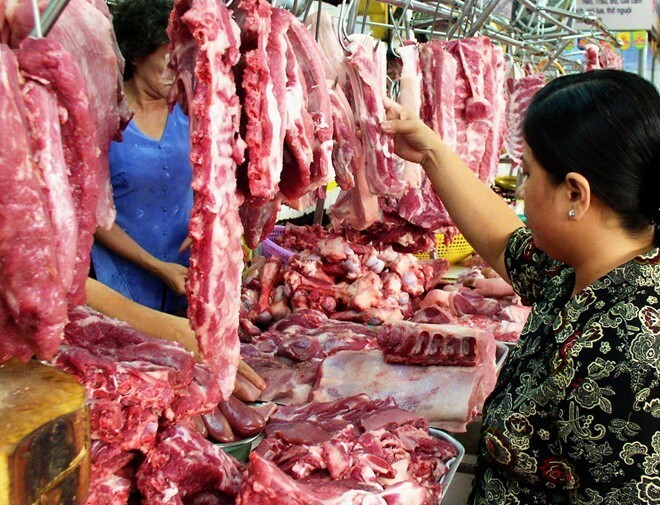 If import taxes are slashed, Vietnamese beef will certainly fail to compete with imports. 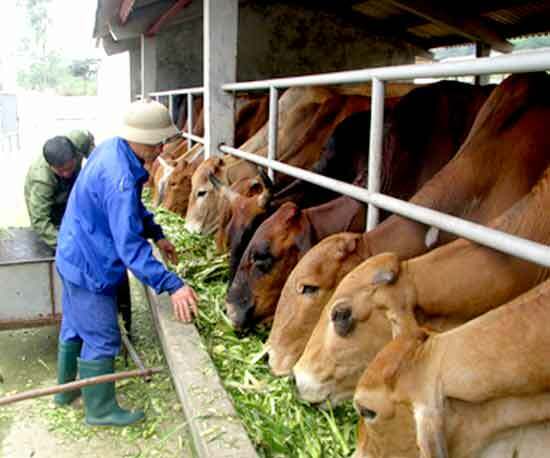 Nguyen Van Ngoc, Vice President of the Southeastern Livestock Association, added that Australian cows gain weight of nearly 1 kg a day, compared to just 0.5 kg for Vietnamese cows. "The rapid growth of Australian cows has encouraged many local firms to import Australian cows for fattening to sell meat and abandon local cows," Ngoc said. For Vietnamese pork, the major competitors are Thailand and China. However, the market for Vietnamese pork is still stable because the price for Chinese pork is now VND5,000-VND8,000/kg higher than Vietnam’s, due to the strong increase of feed in China. The price of Thai pork is similar to Vietnam’s. But the most important factor is that imported pork to Vietnam is mainly frozen, while Vietnamese consumers are more familiar with fresh pork. Deputy Minister Ha Cong Tuan. According to Deputy Minister of Agriculture and Rural Development Ha Cong Tuan, generally the TPP will bring big opportunities for Vietnam's agricultural sector. The export market will be expanded to 11 members states, and will help Vietnam reduce dependence on the Chinese market. Tuan said the TPP has 12 participating countries with a combined population of 600 million, accounting for 40% of global GDP and 26% of the world’s goods value. As a TPP member, Vietnam’s agricultural sector will have four major opportunities. Firstly, once the TPP is officially signed, the market will be more open for Vietnam, helping the country adjust the import - export market in the field of agriculture. The second opportunity is that when the TPP takes effect, the import tax rates on most of the agricultural products will drop by over 90%, and even to 0%. This is a great advantage for many agricultural products of Vietnam like wooden furniture and seafood. The third and fourth opportunities are to attract investment capital along with modern technology and management methods from TPP member states into the agricultural sector and to promote restructuring of this sector. However, Deputy Minister Ha Cong Tuan also said that the agricultural sector would face many challenges. Currently, there are about 3,500 enterprises investing in the agricultural sector, accounting for 1.01% of the total enterprises in the country. Most of them are small- and medium-sized enterprises. The small ones with capital of less than VND5 billion capital make up 65% of the total, and it will be difficult for them to compete when Vietnam integrates more deeply into the world market. "But TPP is the reagent for agricultural restructuring in Vietnam. With the same playing ground, the common law, the stronger will be the winner. If Vietnam continues to not change its production, it will lose even in at home," Tuan said. Nguyen Xuan Duong, Deputy Director of the Department of Animal Husbandry, said that livestock was the most vulnerable industry of Vietnam when joining the TPP because other markets such as the US, Canada, and Australia are much more developed. "However, if we take businesses as the center followed by cooperatives, build chains, ensure safe production and encourage Vietnamese people to maintain the habits of using local meat, we will surely be competitive,” he said. Tu Minh Thien, deputy chief of the management board of HCM City Hi-tech Park, said more trade agreements were being signed, and the prospect of a common market was very near. "We should be prepared to compete and raise capacity, by improving product quality, especially in the agricultural sector. This is the field that we can go after many countries. Let’s take the TPP as a driving force for innovation in agriculture, which used to overlook quality," Thien said. Many Vietnamese breeders are still rather vague about the TPP. "It is already difficult for livestock, it will be more difficult if more meat is imported. I heard that when the TPP is signed, imported meat will ‘kill’ domestic meat. I just heard that but I don’t know what to do," said Ngo Minh Thuan, the owner of a farm with 8,000 chickens in Gia Tan 2 commune of Thong Nhat district, Dong Nai province. Nguyen Van Ngoc, Vice President of the Southeast Livestock Association, said that the associations did not know what to do as the local livestock industry has too many ‘holes’. Ngoc said feed and veterinary medicines account for more than 70% of the cost of production but these products are not controlled. Given the situation that the state does not control the feed, breeding and supplies companies, it is hard to keep the livestock industry stable. Even many livestock companies are confused about the TPP. 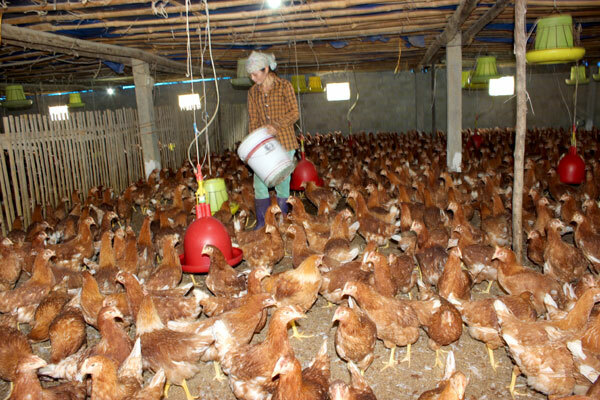 A manager of Binh Minh Company in Trang Bom District, Dong Nai Province, said the domestic chicken industry has been through hard times because of imported chicken from the US. To compete with imported chicken, the company tried to control the quality of chicken and slash the cost of production. Bộ trường Bộ Nông nghiệp và phát triển Nông thôn Hà Công Tuấn đưa ra TPP đưa ra nhiều cơ hội những cũng nhiều thách thức. Nó sẽ hành động như một phép thử dành cho tái cơ cấu nền Nông nghiệp Việt Nam. Ông Tuấn phát biểu, một khi có kết quả, sẽ giúp Việt Nam mở rộng thị trường tiêu dùng dành cho sản phẩm nông nghiệp và những thị trường này là làm giảm áp lực vào thị trường truyền thống nhưng lại luôn thay đổi giống như Trung quốc. Chẳng hạn, Trung quốc hiện nay nhập khẩu 35 % gạo, 48 % cao su, 68 % trái cây và rau, và gỗ chiếm hơn 13.2 % tổng giá trị xuất khẩu Việt Nam. Trong khi đó, Việt Nam nhập khẩu 62.5% nguyên vật liệu từ Trung quốc để phục vục lĩnh vực nông nghiệp trong nước, theo như phát biểu của Thứ trưởng. Nhưng như một đối tác thương mại lớn nhất của Việt Nam, Trung quốc đã có những chính sách yêu cầu Việt Nam để những hoạt động xuất-nhập khẩu được linh động. Theo ông Tuấn TPP sẽ cho phép Việt Nam điều chỉnh lại cơ cấu thị trường xuất-nhập khẩu linh hoạt trong lĩnh vực nông nghiệp. Những sản phẩm thủy sản và đồ gỗ sẽ nhiều khả năng cạnh tranh lớn khi việc đánh thuế vào tất cả những sản phẩm nông nghiệp sẽ giảm trong thời gian ngắn sau khi hiệp ước có hiệu lực. Ông Tuấn nhấn mạnh. Xuất khẩu đồ gỗ tới Mỹ và Nhật Bản - hai nước thành viên khác của TPP-hiện nay chiếm 39% và 19% tổng giá trị kim ngạch xuất khẩu tương ứng. Theo như Thứ trưởng nội địa cũng được nhìn nhận có nhiều lợi thế so với Ấn độ và Thái lan như những sản phẩm thủy sản phần lớn ở hai thị trường trên. Bênh cạnh đó Thứ trưởng cũng nói thêm với việc khuyến khích thuế được quy định trong hiệp ước. Việt nam hy vọng chào đón những nguồn đầu tư đáng kể vào lĩnh vực nông nghiệp, do đó thúc đẩy chuyển dịch cơ cấu nông nghiệp của đất nước. Tuy nhiên, nền nông nghiệp dự đoán vẫn còn nhiều thách thức, đặc biệt là trong sản phẩm tiêu dùng, Khi chủ yếu nông nghiệp theo khuynh hướng nền sản xuất kinh doanh hộ gia đình với những công nghệ kỹ thuật lỗi thời. Theo Ông Tuấn. Chính quyền đề xuất ngành cần sửa chữa tân trang máy móc, thiết bị nông nghiệp, kêu gọi chung sức của nhà quản lý, người dân và doanh nghiệp. Chất lượng giá trị vật nuôi sẽ tốt hơn không? Việt nam sẽ có nhiều cơ hội để mua phương pháp vật nuôi mới và chất lượng con giống tốt đến từ những thành viên khác của TPP, giúp nâng cao ngành chăn nuôi của đất nước. Theo như Ông Nguyên Xuân Dương, Phó Cục trưởng cục chăn nuôi. Tuy nhiều, nhiều giới chuyên gia lo ngại rằng TPP sẽ "bóp chết: gà và bò của Việt Nam bời vì ngành đang đối mặt với nhiều khó khăn và cũng dễ bị ảnh hưởng tới sự lên xuống của thị trường. Ông Nguyễn Kim Doãn, Phó chủ tịch chăn nuôi tỉnh Đồng Nai cho biết hiện nay tỷ lệ chăn nuôi gia súc tại tỉnh là 75 % lợn, 15 % gà và 10 % bò. Mặc dù theo như tính có dành cho một bộ phận nhỏ, giống bò và gà sẽ đối mặt nhiều khó khăn hơn khi Việt Nam tham gia TPP, đặc biệt là gà. Theo Ông Đoàn bên cạnh EU và Mỹ, rất khó cho gà Việt Nam để cạnh tranh với các nước trong khu vực như Indonesia, Singapore và Thái lan nếu như thuế nhập khẩu thịt được giảm. Ông Nguyễn Văn Ngọc, Phó chủ tịch hội chăn nuôi Đông Nam Bộ, cho rằng gà dễ chết hơn các con vật khác hơn bởi vì gà nội địa dễ bị ảnh hưởng bởi các nhân tố bên ngoài. Ở Đồng Nai, hầu hết những nhà chăn nuôi gà gia tăng gà cho các công ty. 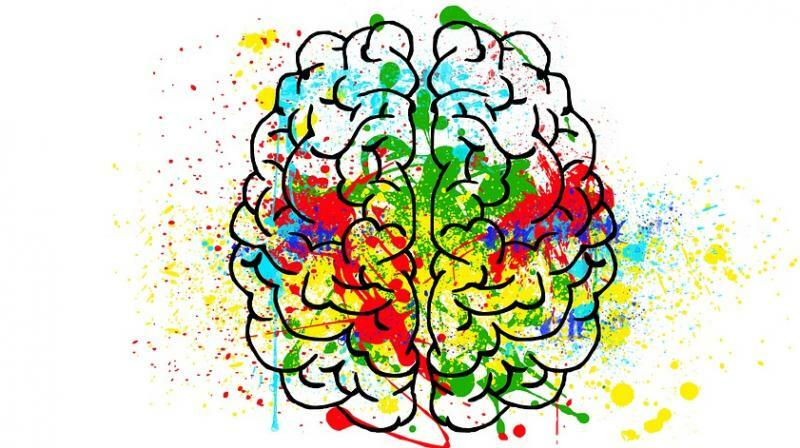 Khi các công ty thua lỗ, người chăn nuôi gà sẽ bị ảnh hưởng. Ông Ngọc nói. TS Nguyễn Văn Giáp, Phó giám đốc trung tâm chính sách và chiến lược nông thôn miền Nam, phát biếu sự cạnh tranh với việc nhập khẩu gà, người dân Việt Nam nên phát triển chăn nuôi gà nội địa giống như Yên Thế hoặc Đông Tạo, bên cạnh nâng cao năng lực và tham gia chuỗi sản xuất để giúp giảm giá thành sản xuất. Về phần bò, Ông Giáp cho là Việt Nam không có đồng cỏ rộng lớn và nhiều đàn bò vì thế sự tràn ngập thịt từ nước ngoài là có thể xảy ra. Gần đây, mặc dù thuế nhập khẩu cao, thịt bò Úc đã vào Việt Nam với số lượng lớn. Nếu thuế nhập khẩu giảm, thịt bò Việt Nam tất nhiên sẽ giảm khả năng cạnh tranh với nhập khẩu. Ông Nguyễn Văn Ngọc, Phó chủ tịch Hiệp Hội Chăn nuôi Đông Nam Bộ, tăng trọng bò Úc gần 1kg một ngày, so với bò Việt chỉ 0.5 kg.
" Sự phát triển nhanh chóng của bò Úc đã khuyến khích nhiều công ty địa phương nhập khẩu bò Úc nhằm vỗ béo để bán thịt và từ bỏ bò địa phương" Ông Ngọc chia sẽ. Thịt lợn Việt Nam, phần lớn các nhà cạnh tranh là Thái Lan và trung quốc. Tuy nhiên, thị trường thịt lợn Việt Nam vẫn ổn định bởi vì giá thịt lợn trung quốc bây giờ cao hơn Việt Nam là 5 0000-8000/kg, do giá thức ăn tăng mạnh ở Trung quốc. Giá thịt lợn Thái cũng tương tự như Việt Nam. Nhưng yếu tố quan trọng nhất là việc nhập khẩu thịt vào Việt Nam chủ yếu là hàng đông lạnh, trong khi đó người tiêu dùng Việt quen dùng thịt tươi. Theo như Bộ trưởng nông nghiệp và nông thôn Hà Công Tuấn, nhìn chung TPP sẽ mang lại nhiều cơ hội lớn cho nền nông nghiệp Việt Nam. Thị trường xuất khẩu sẽ được mở rộng tới 11quốc gia thành viên, và sẽ giúp Việt Nam giảm phụ thuộc vào thị trường Trung quốc. Ông Tuấn chia sẻ TPP có 12 quốc gia thành viên tổng dân số 600 triệu người, chiếm 40 % GDP toàn cầu và 26% giá trị hàng hóa của thế giới. Khi đã là một thành viên TPP, nền nông nghiệp Việt nam sẽ có 4 cơ hội lớn. Đầu tiên, TPP được ký, thị trường sẽ mở rộng hơn cho Việt nam, giúp điều chỉnh lại thị trường xuất nhập khẩu trong lĩnh vực nông nghiệp. Cơ hội thứ hai khi TPP có hiệu lực, thuế suất thuế nhập khẩu hầu hết ở những sản phẩm nông nghiệp sẽ giảm xuống hơn 90% thậm chí 0%. Đây là một thuận lợi lớn cho nhiều mặt hàng nông nghiệp của Việt Nam như vật dụng đồ gỗ và thủy sản. Thứ ba và thứ tư là thu hút vốn nhà đầu tư với kỹ thuật và phương thức quản lý hiện đại từ những thành viên TPP vào trong lĩnh vực nông nghiệp và để xúc tiến tái cơ cấu của ngành này. Tuy nhiên, Bộ trưởng Hà Công Tuấn cũng nhận xét ngành nông nghiệp sẽ đối mặt với nhiều thách thức. Hiện nay, có khoảng 3 500 doanh nghiệp đầu tư vào nông nghiệp, chiểm 1.01% tổng doanh nghiệp cả nước. Hầu hết là những doanh nghiệp vừa và nhỏ. Doanh nghiệp nhỏ với số vốn nhỏ hơn 5 tỷ VND chiếm tới 65%, và khó để cạnh tranh khi Việt Nam hội nhập vào thị trường thế giới. "Nhưng TPP là thứ nghiệm cho tái cơ cấu nôn nghiệp ở Việt Nam. Với sân chơi như nhau, điều luật chung, người mạnh hơn sẽ trở thành người chiến thắng. Nếu Việt Nam tiếp tục không thay đổi sản xuất. Nên nông nghiệp thậm chí sẽ phát sản" Ông Tuấn nhận xét. Ông Nguyễn Xuân Dương, Phó Cục trưởng chăn nuôi phát biểu rằng chăn nuôi bị yếu thế nhất khi Việt Nam tham gia vào TPP bởi vì những thị trường khác như US, Canada và Úc phát triển hơn nhiều. "Tuy nhiên, nếu chúng ta lấy doanh nghiệp là trung tâm tiếp theo là hợp tác xã, liên kết chuỗi, đảm bảo sản xuất an toàn và khuyến khích người dân Việt nam duy trì thói quen sử dụng thịt địa phương, chắc chắn chúng ta sẽ cạnh tranh được" Ông cho biết. Theo như Ông Từ Minh Thiên, Phó trưởng ban quản lý khu công nghiệp công nghệ cao TP.HCM, ngày càng nhiều thỏa thuận thương mại được ký hơn, và mong chờ một thị trường chung đến rất gần. "Chúng ta nên chuẩn bị để cạnh tranh và gia tăng năng lực, bằng cách cải thiện chất lượng sản phẩm, đặc biệt trong nền nông nghiệp. Đây là lĩnh vực mà chúng ta đi sau nhiều quốc gia khác. Hãy lấy TPP làm động lực cải tiến trong nông nghiệp, trong đó chú trọng đến chất lượng sản phẩm". Ông Thiên cho biết. Nhiều người chăn nuôi Việt Nam vẫn khá lờ mờ về TPP. "Thật là khó để chăn nuôi, sẽ càng khó hơn nếu thịt ngày càng nhập khẩu. 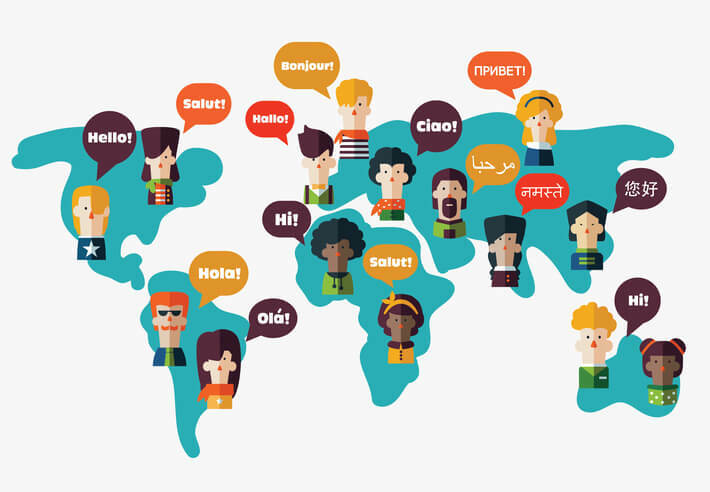 Tôi biết rằng khi TPP được ký, thịt nhập khẩu sẽ "giết" thịt nội địa. Tôi chỉ nghe như vậy nhưng tôi không biết làm cái gì" Ông Ngô Minh Thuận, chủ trang trại với 8 000 con gà của 2 xã Gia Tân, quận Thống Nhất, tỉnh Đồng Nai. Ông Nguyễn Văn Ngọc, Phó chủ tịch hiệp hội chăn nuôi Đông Nam Bộ, cho biết sự liên đới không biết cái để làm như chăn nuôi trong nước có quá nhiều "lỗ hổng". Ông Ngọc cho biết thức ăn và thuốc thú y chiếm hơn 70 % giá thành sản xuất những có những sản phẩm không được kiểm soát. Đặt ra vấn đề Nhà nước không kiểm soát được thức ăn, giống và các công ty cung ứng. Thật khó để mà giữ được ngành chăn nuôi ổn định. Thậm chí nhiều công ty chăn nuôi đã từ chối về TPP. Nhà quản lý công ty Bình Minh quận Trảng Bom, tỉnh Đồng Nai, cho biết ngành gà nội địa đã khó trong thời gian vừa qua bởi vì nhập khẩu gà từ Mỹ. Để cạnh tranh với gà nhập khẩu, công ty cố gắng để quản lý chất lượng gà giảm giá thành sản xuất. During the summer, the park becomes a popular location for recreational activity. Trong suốt mùa hè, công viên trở thành một địa điểm phổ biến cho các hoạt động vui chơi giải trí.